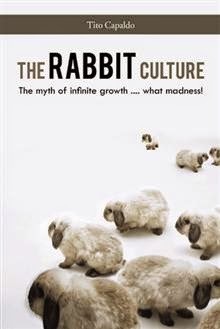 I'm Shelf-ish: The Rabbit Culture by Tito Capaldo Book Blast - Win a $25 Amazon Gift Card! The Rabbit Culture by Tito Capaldo Book Blast - Win a $25 Amazon Gift Card! Direct and vivid in its telling of the details of the adoption of a 7-year old boy from Romania after the collapse of Communism, the novel manages ultimately to deliver much more. Despite this story, I have been very lucky in my life … I had two wonderful parents, who, in their simplicity they taught me to love and respect Nature and its Laws. I have had satisfactory work experience both economically and professionally, first as a military pilot in the Italian Air Force, and now as a Fire fighting Pilot for the Civil Defence . I am not rich, but I can not complain .. I have everything I need. If you have the adventure to stumble upon this book and buy it, you can be sure that every cent will be used for the survival of the protagonist, my adoptive son ,when I’m gone. Antonio Capaldo was born at Campo di Giove (AQ) on 14thJuly 1948. Authentic mountaineer, he spent his adolescence in close contact with nature in a mainly agricultural and pastoral farming environment at the foot of the Majella massif. After high school he passed the admission course and joined the Air Force Academy, then he obtained the license as military pilot at USAF Air Force School in the US. He served as an Air Force Pilot on C-130 aircraft at Pisa Air Base for 19 years. He had the opportunity to travel around the world and carry out several humanitarian missions. Then he was transferred to Latina Flight School where he worked as an instructor and flight examiner where he held the position of Group commander. After a 2-year service for the Major Staf (Italian Air Force) he went on leave. Tito is giving away a $25 Gift Card!